Thiago Moreno (1982), born in São Caetano do Sul ( Brazil), is who´s behind the progressive trance project, Space Venom. Lover of e-music since he was 13, had his first contact with psytrance at the year of 2000. With influences such as breakbeat, Techno, reggae and dub he became a dj in 2006. Playing his sets of psy trance, full on and progressive trance in the state of São Paulo, hás been in stage with important artists such as Hyperceptiohm, Audio-X, Life Style, Polaris (France) and others… In 2009 he invests on his home studio and begins to do his own productions. 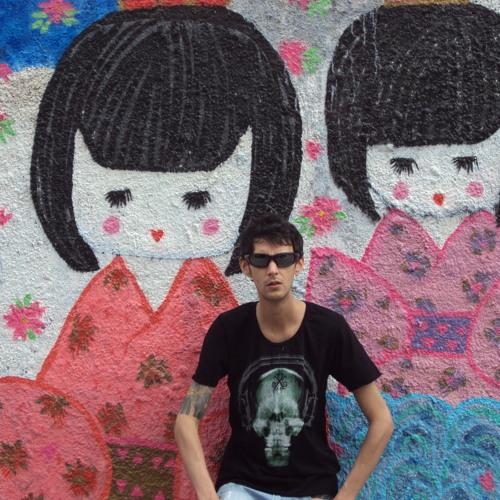 In 2010 he goes to the city of São Paulo to attend the course of electronic music production at University Anhembi Morumbi. Nowadays, graduated in the area, Thiago Moreno has been producing his music with a lot of effort. In three years the production manages to close with the German Label Savva Records, featuring his live, and also representing the label in their sets. Space Venom LIVE And Set Savva Records Open for booking now!